Theatre gives voice to the voiceless and brings us stories that open our world to reveal life's joys as well as its injustices, reminding us of our common humanity. 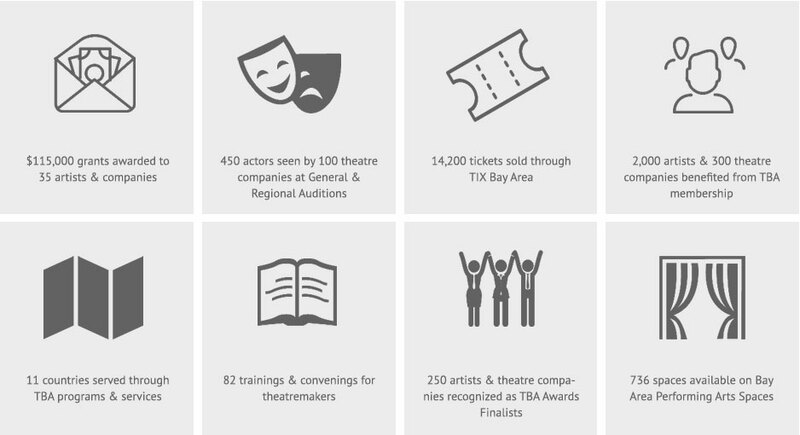 Theatre Bay Area is the largest arts service organization of our kind, supporting the radical creativity of our members (300 theatre companies and 2,000 individual members) with unparalleled access to educational, financial and professional resources. With more than 400 producing companies in nine counties. The region boasts more theatre companies per capita than almost any other metropolitan area in the nation, and is home to tens of thousands of individual theatre artists, including actors, directors, designers, dance artists, playwrights, dramaturgs, and technicians. More than 200 new plays are premiered here each year, many going on to wider success. Bring the power of theatre to every Bay Area community! Your donation of any size supports our mission. To unite, strengthen and promote the theatre community in the San Francisco Bay Area, working on behalf of our conviction that the performing arts are an essential public good, critical to a healthy and truly democratic society, and invaluable as a source of personal enrichment and growth. Causing a scene since 1976! 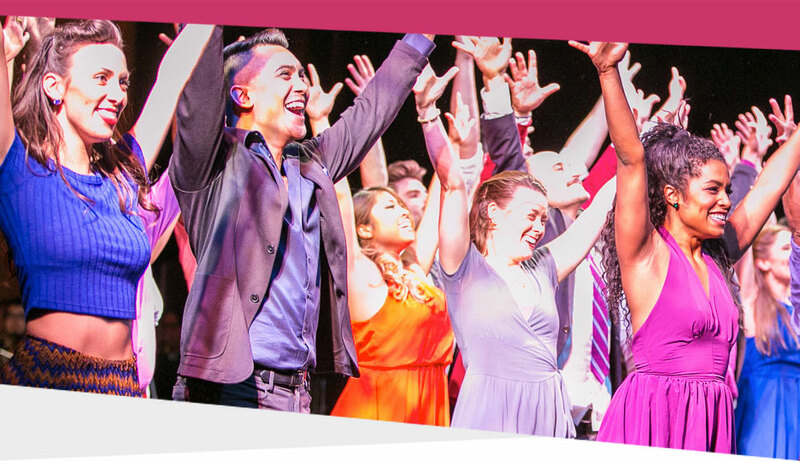 Your support will allow Theatre Bay Area to deliver invaluable tools and services to theatre-makers, strengthen the Bay Area arts ecosystem, elevate the profile of the arts, and deepen audience engagement. The Dana Harrison Fund for Theatre and Social Justice is dedicated to supporting programs that advance justice in and throughout our theatre community. To celebrate this legacy of experimentation and to ensure its future, the executive committee of Theatre Bay Area has established the Brad Erickson Fund for Innovation. Monies from the Fund will be used to support the creation of new programs and launch new research initiatives. Help us advance the spirit of curiosity, responsiveness, and entrepreneurism that can best serve the theatremakers of today and tomorrow.